Circa 1891. 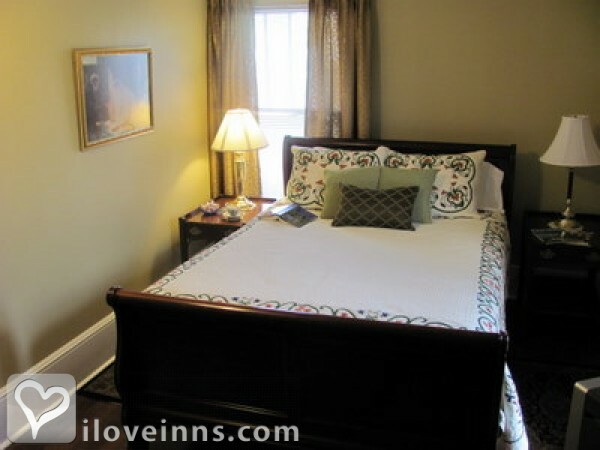 Enjoy fine lodging at this late Victorian bed and breakfast on one acre in one of the three local residential historic districts. It is furnished with quality furniture and antiques and the walls are accented with British and American watercolor paintings. Enjoy snacks and sodas while watching a movie in the guest parlor by the fire. One of the well-appointed guest bedrooms features a fireplace. Linger over a gourmet breakfast in the morning. 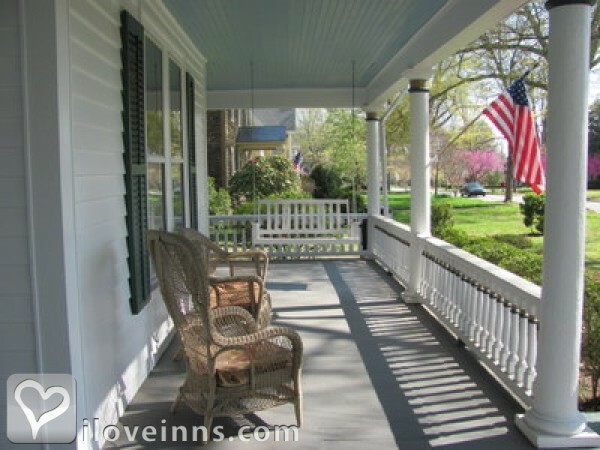 Rockers adorn the wraparound porch and the sweeping lawn offers Adirondack chairs shaded by ancient oak and pecan trees. The area provides many delightful activities and sites to visit. Payment Types Accepted Include American Express, Master Card, Visa, Discover and Cash. 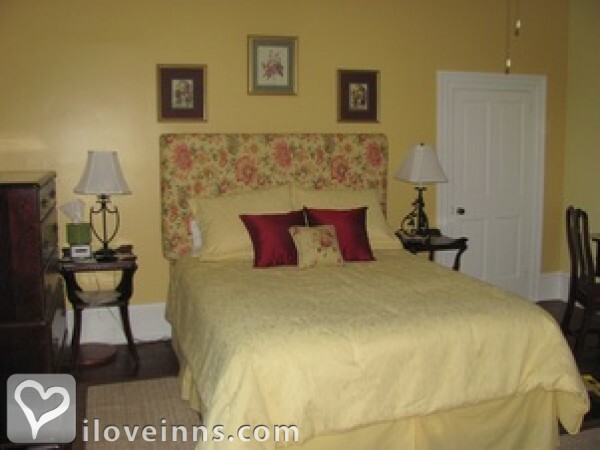 This property has 4 total guest accommodations with private bath, 1 with fireplace. The types of beds available include Twin, Double and Queen. 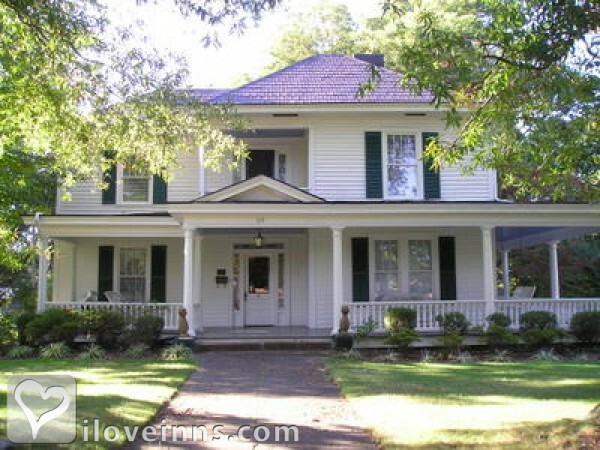 House is set amidst old oak and pecan trees and has a beautiful wraparound porch. Large lawn. Hundred year old trees and flower beds. For 1 room 90% refund if cancelled up to 7 days before reservation date, thereafter the full rate will be charged. For more than 1 room a 28 day cancellation is required. 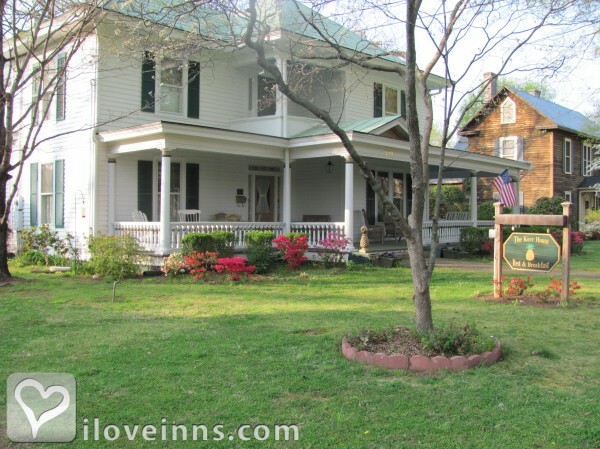 Built in 1891, it is in the National Register and has been fully restored in accordance with the Statesville Historical Society. 220 Cafe, Mezzaluna II, Risto's, Chopstix Thai.. Thank you so much for your southern hospitality. We loved every minute of our weekend!Great company, food and laughs!! We stayed here for our anniversary, before departing to Conover to Rock Barn Spa. This was the perfect place to spend the night. It was very comfortable and inviting and the delicious breakfast was a great start to our Day! We may have to make this an annual tradition! Thanks! Wonderful stay at the Kerr House! Pam and John were wonderful hosts. The inn is beautiful and clean, the food was top-notch, local recommendations for restaurants were spot-on, and we even received a senior discount! We stayed in the Magnolia Room with its own claw-foot bathtub. Would love to return for another visit. Best ever ginger snap cookies!